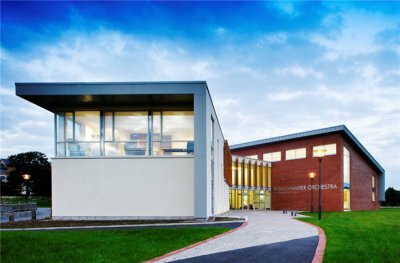 Irish Chamber Orchestra Building, University of Limerick. 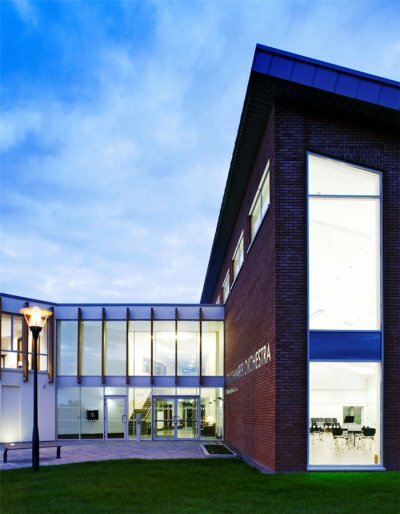 This project involved the construction of a building for the Irish Chamber Orchestra including offices, rehearsal spaces and rooms, a shop, meeting rooms and ancillary facilities. 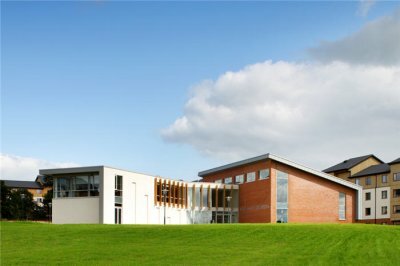 Located in the centre of a lively student village on the University of Limerick campus, the project required close co-operation with the college management. 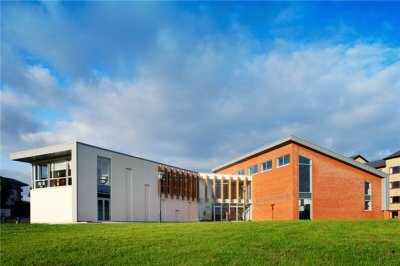 With acoustic specialists forming part of the design team, expert contractors were appointed to fit acoustic panels and construct the rehearsal space to meet NR25 noise rating standards. With a total floor area of 1,018m², the building is cladded with Kalzip and Falzinc.